I didn't grow up eating Hor Fun -- which is what flat rice noodle is called in the northern part of Peninsular Malaysia, especially in Ipoh. This type of noodle is called "Kuey Teow" in my part of the world. The first time I heard the term "Hor Fun" was probably when I was around 10 years old, sometimes around long school holidays when my maternal grand parents brought us to visit Penang and en-route to Ipoh for the good foods that the town is known for. Though not a big fan of soupy Kuey Teow a.k.a Hor Fun, this dish caught my fancy the first time I tried it, the noodles are smooth and the broth so full of flavors. My FB friend Ivan posted his version of this Hor Fun on his page not long ago and it really got me craving for a good bowl of this noodle for sometimes. So one fine day I finally gathered enough ingredients (and courage) to go through the lengthy process just to prepare a bowl of this hearty noodle soup. 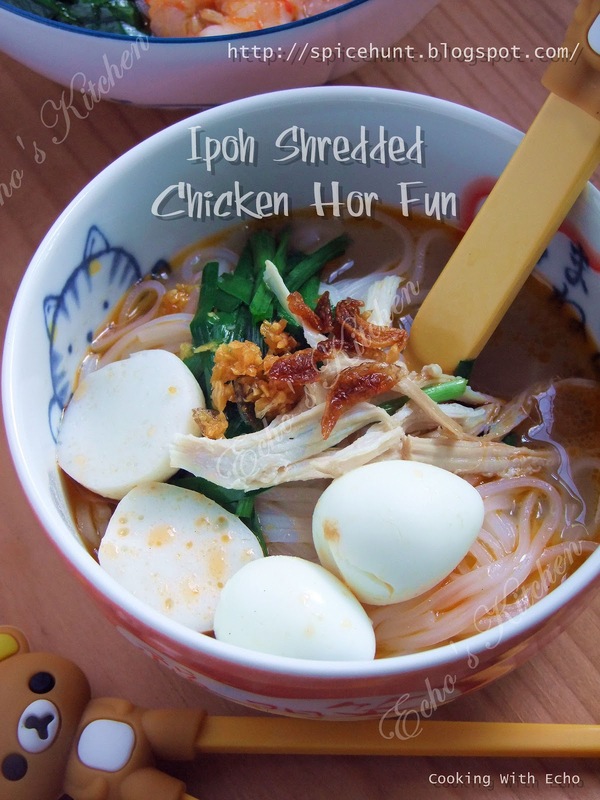 Try using the rice noodle which is 2-3 mm thick if you can find it, I strongly suggest to use only the fresh noodles, unfortunately the only fresh Hor Fun I could get in the nearby supermarket is thin rice stick noodle, not ideal but at least it is fresh! The dried version just won't cut it. 1. Blanch pork bones in boiling water for 30 seconds, rinse under running cold water, discard the blanching water. Start with 2.5 litres of cold water, bring to boil and turn heat to low to simmer for 30 minutes. 2. Shelled and deveined shrimps. 3. Heat up 1/2 cup of oil in a cooking pan, cook shells and heads of shrimp until the shells are crisp and color changed to red-orangy, dish out the shells, drained and add to the pork bone broth, continue simmering broth for approximately another 1 hour. Note: Keep the oil from frying shrimp shells, it can be used in preparing Pad Thai. 4. 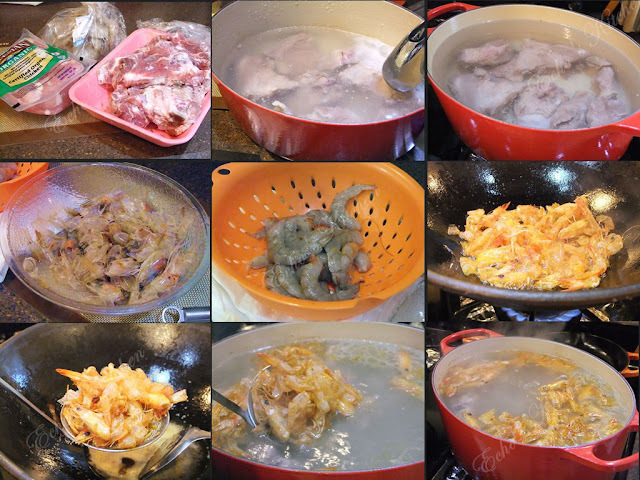 Discard pork bones and shrimp shells and head from broth. 5. In a mortar and pestle, lightly crush 1 tbsp white peppercorn. 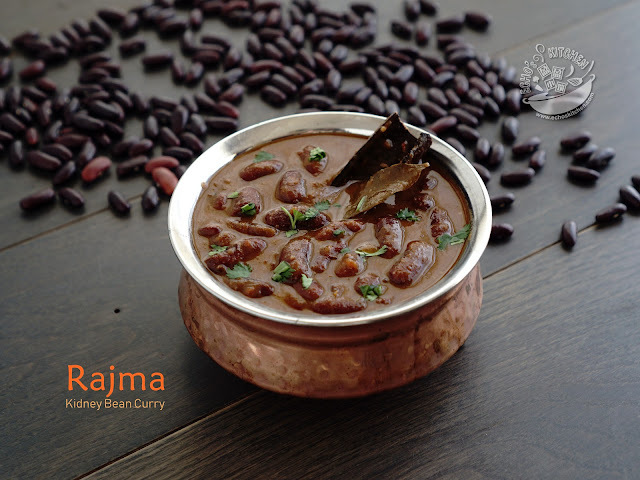 Place the crushed peppercorns in a disposable filter bag or tea infuser, place the infuser/filter bag into the broth, continue simmering for another 30-45 minutes. Discard the white peppercorn and season broth with salt, rock sugar and fish sauce. 6. Meanwhile, cook the chicken breast in the broth for 12-15 minutes until it is cooked (insert a toothpick into it if the liquid releases is clear then it is cooked), let cool and shred the chicken for garnishing. 7. Cook shrimps in same stock for 1-2 minutes until it changes color and cooked, set aside for garnishing later. 8. Prepare fried garlic and shallots before hand. 9. Bring a pot of water to rolling boil, blanch noodle, garlic chives and fish balls (if using). 10. 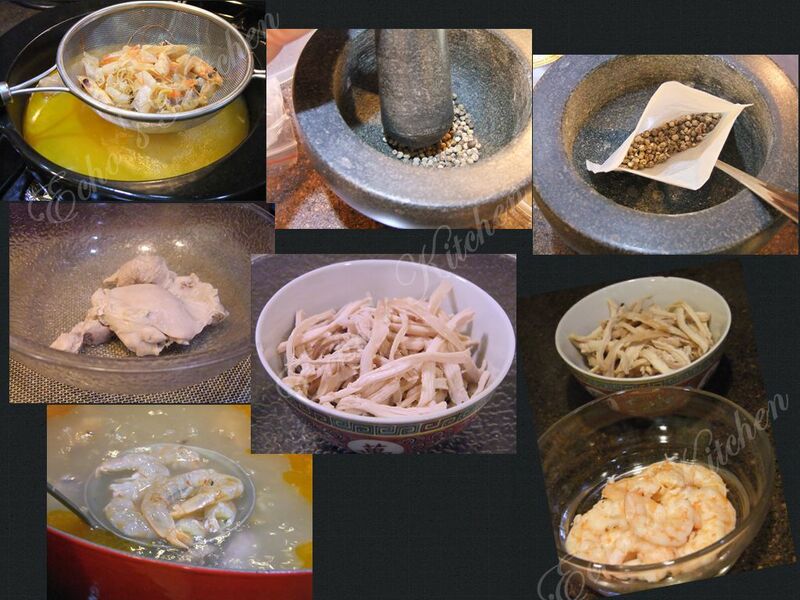 Place warm noodles, garlic chives, shredded chicken and prawns in serving bowl and ladle boiling stock over it. 11. 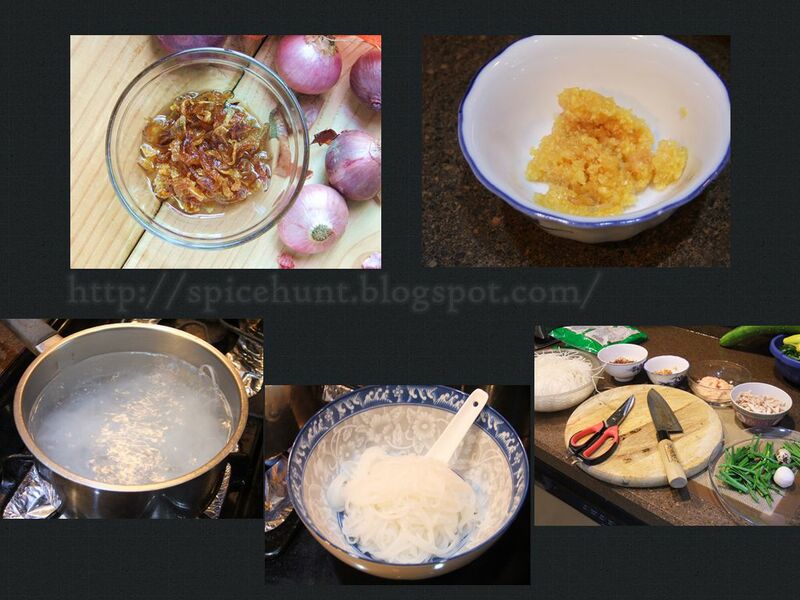 Garnish with fried shallots with oils and fried garlic with oils, sprinkle a dash of white pepper powder if you like. 12. Chopped Thai chillies and add soy sauce as dipping sauce. This dish is also very kids friendly (as long as the kid is not allergy to shellfish).